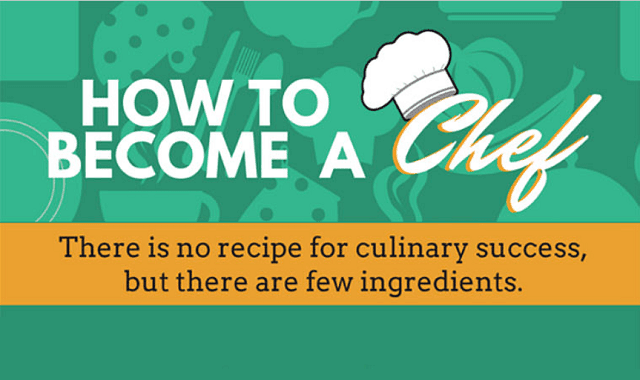 How To Become a Chef #Infographic ~ Visualistan '+g+"
Becoming a chef involves more than just learning to cook and loving food. In addition to potentially being trained in different culinary techniques and cooking disciplines, aspiring chefs might also need strong business skills, creativity, leadership and time-management abilities. It can be a challenging career, but also a very rewarding one.